Ever want to build your own weather station? 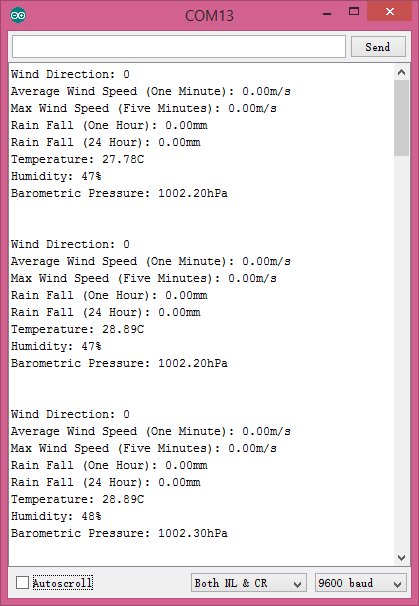 This weather station kit includess anemometer, wind vaneRain and rain bucket. The serial communication method provides good compatibility and makes it easy to use. Together with other components, this anemometer can be widely used in measureing wind/rain in areas such as engineering, railways, docks, power plants, meteorological, cableway, environment study, agriculture, energy monitoring, health study with corresponding signal output. Also, it is compatible with Arduino device. Version Update 2016/3/28: Upgrade the Temperature and Humidity sensor that the range and accuracy were improved. It outputs 37 bytes per second, including the end CR/LF. Please unplug the cable on the TX&RX interface, or it will interfere with the sketch uploading. There is no wind inside, so every parameter about "wind" will be zero. Q Where can I place the green controller board? The Weather Station is installed outdoor and I don't see any case or housing. A Sorry, you have to DIY something to make a waterproof case for the board. Q The RF Module and RF Transmitter wasn't included in the package, so how can I get the data wirelessly? 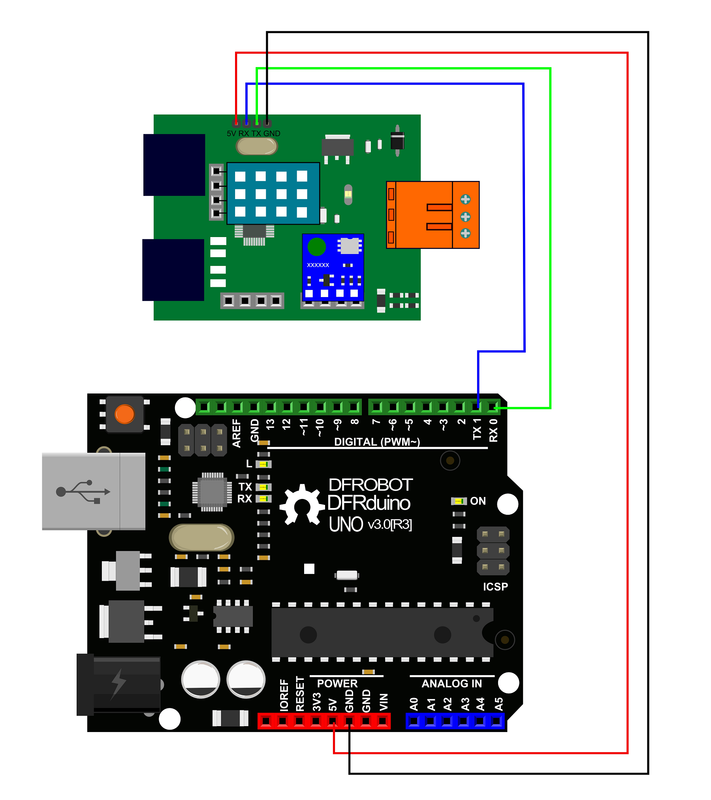 A Since the kit doesn't include any wireless module, you have to install bluetooth, Xbee, RF modules onto Arduino to make it work wirelessly, all the modules mentioned here are available in our store. Q About the module assembly: I only found there are only two installation blocks for the different modules on the Converter Board, but there are three modules: Anemometer, Wind vane and Rain bucket to be installed on the Converter Board. How come? A As the picture shows, the Anemometer was connected to Wind vane module but not to Converter board. 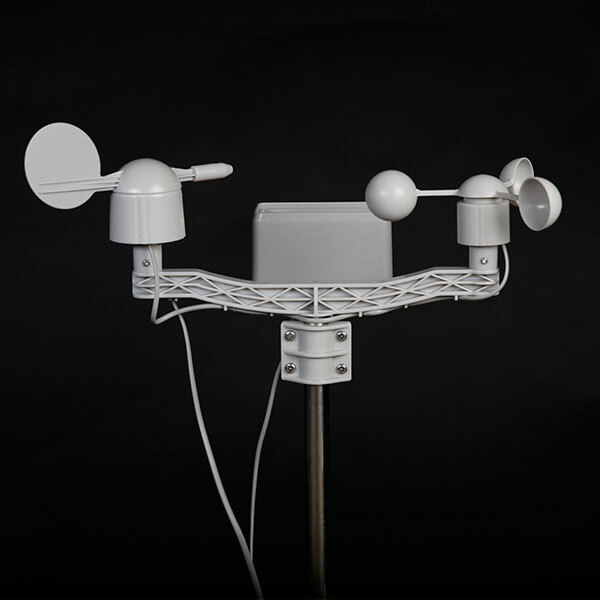 Shopping from Weather Station Kit with Anemometer/Wind Vane/Rain Bucket or DFRobot Distributor.